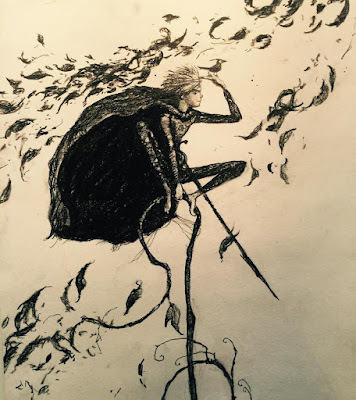 Poet's Notes: This poem is something I thought up when thinking of Jack Frost. I wanted to take a common legend and change up his story a bit, make his already sad tale even more tragic. At first I was going to make the setting a traditional winter scene, but decided the contradictory warmth of spring made things more remorseful. Hopefully I succeeded in bringing on this sentiment. Editor's Note: Although many places have already been experiencing winter weather, today, December 21, actually marks the Winter Solstice, the beginning of winter in the northern hemisphere this year.